I know, I said I wouldn’t start sewing this. But I had to try a few blocks! I’m not sure what this block should be called but I have decided to call it Twist. A few of you said this was the Garlic Knot that Bonnie Hunter is doing. It is similar but not the same. Garlic Knot has a couple contrasting squares in the middle. I’m not sure how I will set these yet, but there are lots of possibilities here. Very original ! I can’t wait to see your top finished ! Great block, glad you had a little play! Lots of potential in this quilt! I really like the block. I like the circle layout. HAHA – I was hoping you couldn’t wait to make a few blocks, because I was anxious to see some! 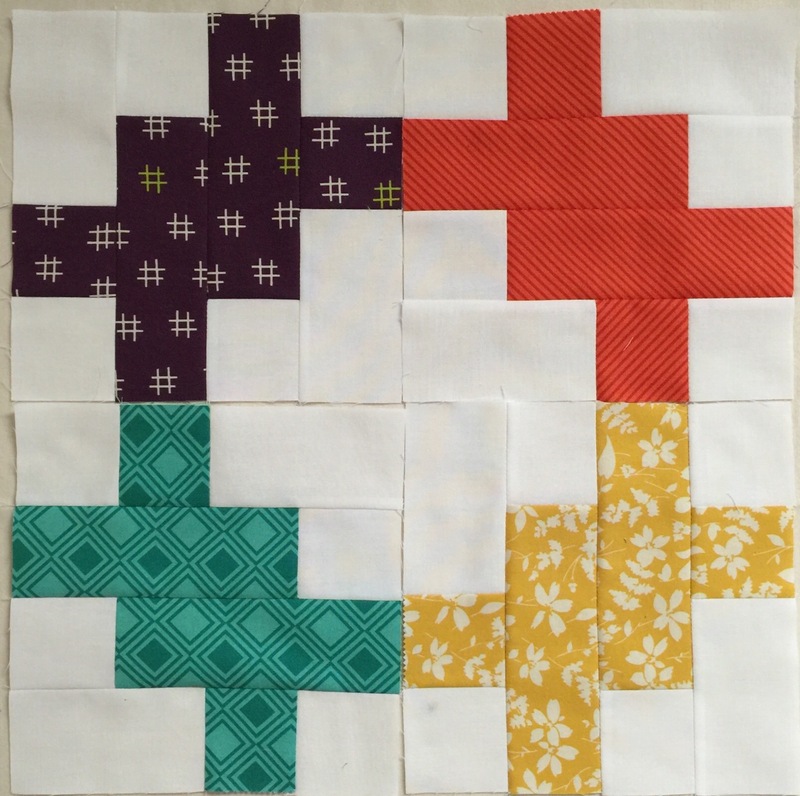 Love the fabric and the block. I love it, Katy! The top layout appeals to me. Can’t wait to see a larger overview. t.
I like this block – it has so many possibilities. As for which layout, I’d probably wait until I had more blocks. But #2 is interesting. 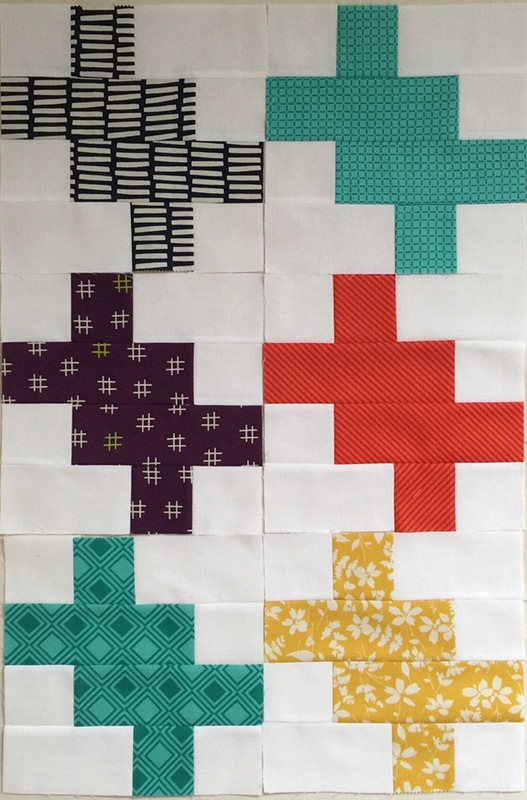 Love these and so glad you couldn’t wait to sew up a few blocks! Love this block! Both layouts are great! Twist is a perfect name for this block….when I first saw your drawing on yesterday’s post, it reminded me of the tie twists that are on bread wrappers! It also made me think of pretzels….funny how those images just pop in our minds….. I knew you would jump in and make a few blocks! Will enjoy seeing how you decide to set the blocks…love the look of the blocks already…. I like both layouts and I think either would look great. Love the simple design; scrappy, or a one color is on my bucket list.